We recently completed a video for Integrity Staffing Solutions. Click the play button below to view a small version (original video is in HD). 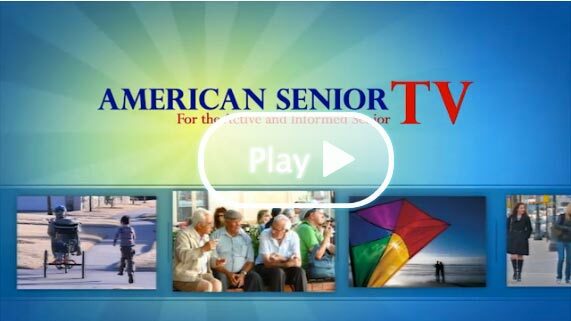 Reno Sparks Video Productions filmed and developed two episodes for American Senior TV - For the Active and Informed Senior. These were also shot in HD and are presented here in a smaller format for the web. The first video features The Commodores. 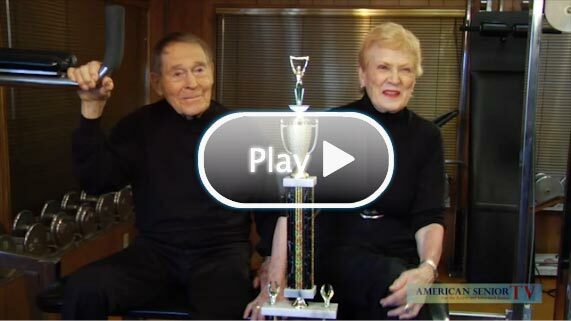 This episode of American Senior TV features Jack LaLane. We hope you enjoy it. The list on this page represents only a fraction of the clients our portfolio. In 1988, Reno resident Jim Parker, who had been a meat department manager at a major supermarket, decided to put together a series of four videos aimed at teaching people how to cut game and other types of meat properly. Even though the videos appeared in Cabela's catalog for a while, Parker was not entirely satisfied with the production and the costs. Parker became so interested in the industry that he started buying video equipment and looking for clients and working as a freelancer for local entities, including business and television studios. He established Reno Sparks Video Productions. For the next several years, he added equipment and worked at developing a customer base. Parker operates the business with only one other full-time employee, his daughter, office manager Jessica Outhyse. What's most interesting about Reno Sparks Video Productions is the extent the company has grown and the number of major local clients, which include many of the largest casinos and several of the major national news networks. "We do breaking news for national networks," Parker said. "We've done the 'Today Show' (NBC) covering local events. Something different every day. Another story we worked on was when Steve Fossett went missing. I worked again for the 'Today Show' on that. I went up in the C-130 and flew around over the desert using my video equipment. During the Darren Mack trial, we had coverage on Fox national news." As he connected with the major networks over the past 15 years, he has done work on everything from the World Series to Super Bowls. "We have three long football lenses, to my knowledge, the only in the area," Parker said. These sport lenses include one Canon JX55 Super X9B-500mm f.14, one Canon JX50X9.5-475mm-4.14 and one Fujinon A44X9.5BESM-28ME. "It's the investment in equipment that puts you into the business and knowing how to operate that equipment," Parker said. Parker said he also rents his equipment to customers, including the major casinos. Recently, Gems TV, a company that mines diamonds and other semiprecious stones to sell throughout the U.S., came to town and rented an entire TV studio from Reno Sparks Video Productions for four months. Parker said the mobile production truck he operates contains the racks that can roll into any building. If the vehicle cannot get into a site, cables will run to each camera. "With the cables, you have total control of the cameras, everything within the van itself via single digital multi-core video cables and SDI (Serial Digital Interface)." The Silver Legacy Resort Casino frequently has used the services of Reno Sparks Video Productions. Kenneth Sedgwick, audio visual supervisor, said he has worked with Parker for at least nine years. 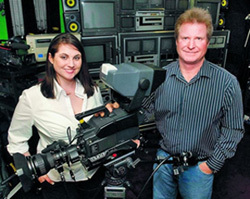 "Jim has great equipment and does great camera work," Sedgwick said. "We have him every year for the Rocky Mountain Elk Foundation Convention." He said the casino brought Parker, his crew and three cameras to record the entire show recently for that event. "Rocky Mountain Elk is huge and high-profile. It has to be perfect for these guys." The customer base continues to include many of the original clients. Parker said they do industrial training, safety, marketing video and news releases -- "anything to do with video." Click here for a PDF copy of "Video firm puts success in focus"